Welcome to Community First Credit Union! Call us at 573-248-2569 between 8:30am and 4:30pm Monday to Friday to establish internet banking access. Our Community Charter application has been approved, and we are now able to serve anyone who lives or works in Marion and Ralls Counties! 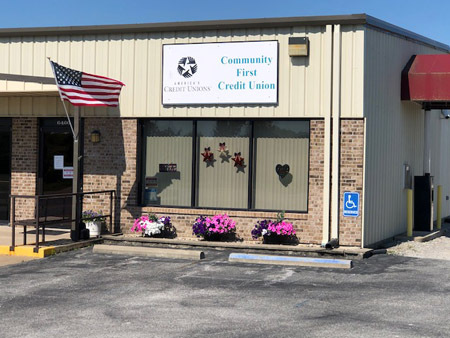 Community First Credit Union was chartered in July of 1952 in the state of Missouri originally as Division #3 Highway Credit Union, and serves anyone who lives or works in Marion and Ralls Counties. Immediate family members of existing members are also eligible to gain membership in the credit union. Immediate family is defined as a spouse, child, sibling, parent, grandparent, grandchild, aunt, uncle, niece, nephew, first cousin or legal guardian and includes step, in-law, and legally adoptive relationships.